Display Them Around the House All Winter Long! 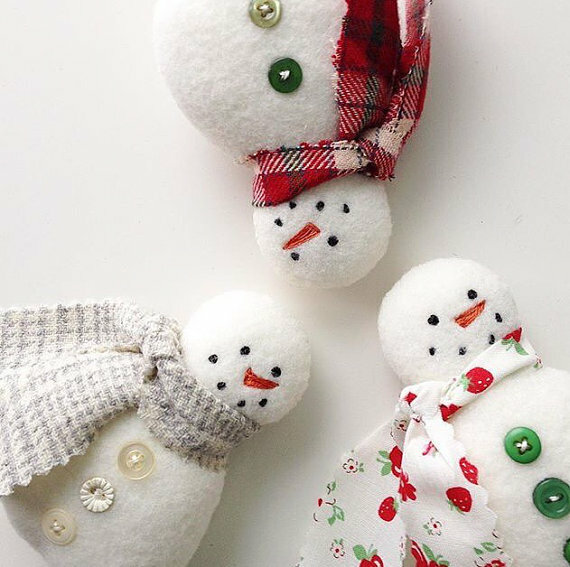 These cute little snowman ornaments are quick to make and so darling on the tree. 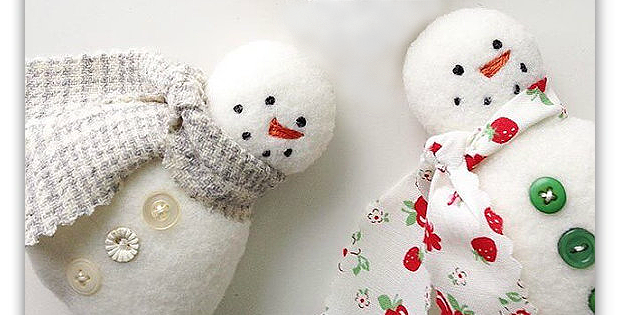 They also can be tucked here and there around the house, and make wonderful gifts. They’re sure to bring smiles wherever they appear. Make them up from fleece, felt or felted wool. You can also use cotton fabric, stitched right sides together and turned to hide the seams. Scraps are perfect for the scarves and you may already have buttons in your stash. Add a cord or ribbon for hanging. The finished ornaments, designed by Little Celandine, are approximately 4 inches tall. 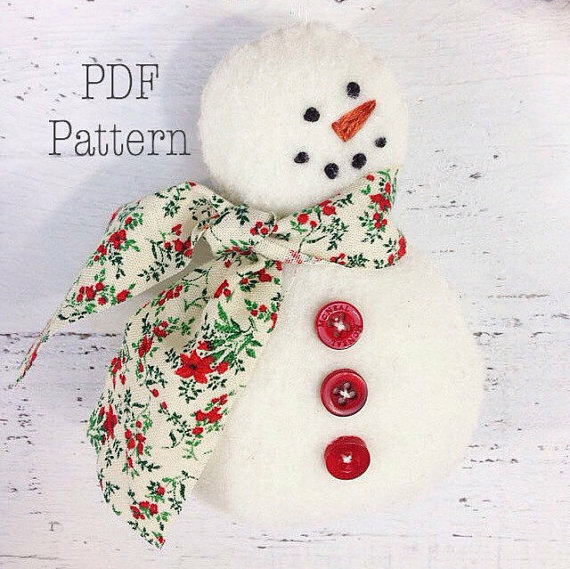 Click here to purchase the “Snowman Christmas Ornament” pattern.